The Great Debate of 1920 between astronomers Shapely and Curtis regarding the scale of the universe has since been overshadowed by The Great Debate of Modern Grappling – to gi or not to gi! In this debate both sides have valid arguments and critical flaws. Let’s examine each side independently before coming to a conclusion as to which is best. Aficionados of the gi will tell you the gi is the alpha and the omega of crisp and clean technique. It is difficult to argue against this point. Providing a great number of “hand holds” for gripping, the gi serves as a vital learning tool when experimenting with the principle of leverage. This experimentation is critical in the early developmental stages of any grappler because leverage is the guiding principle behind the art! Another strong argument for wearing the gi is that it forces you to learn a technical and calculated defense. When wearing a gi a mistake by one grappler often results in submission due to the increased friction between the grapplers – there is no slipping out due to sweat therefore you must know the proper, technical escape or counter to the hold being applied. What then are the drawbacks to training in the gi? One of the most critical flaws of training in the gi is the fact of becoming too comfortable with the handholds and friction provided. This comfort causes two major problems. First, you never learning how to explode or scramble out of positions – you become accustomed to the very tight control factor of the gi. Second, and most important, you begin to develop a sport specific mentality forgetting that jiu jitsu is first and foremost an art of self defense meant to stop you from getting your face punched in! When you begin to rely too much on the grips of the gi you will find your hands and face are more often than not out of position to properly defend incoming strikes – not good! What benefits does training no-gi provide a grappler? First and foremost, no-gi training develops a faster paced game. It allows you as a grappler to learn how to “push the pace” and develop fast twitch explosive movement. Second it forces a grappler to experiment with leverage in an entirely different environment. In the absence of having a gi to grab on to a no-gi grappler must become a bit more creative with his grips and hand holds. This forced creativity can really expand a grappler’s overall understanding of the leverage principle! What then of the downside to no-gi training? No-gi training because of its very nature is prone to leading a grappler into a cesspool of filthy technique. A grappler begins to rely too heavily on speed and sweat to counter and escape bad positions and therefore never learns “the right way of doing it”. Often when a no-gi grappler finds himself in a struggle with a grappler that is tight and provides no “wiggle room” he will flop like a fish on a hot dock until he eventually succumbs to the inevitable submission. What the is the answer to The Great Debate? Simple – train both! Observe the principle of focus-specific training – especially if your weekly training time is limited. Are you mostly interested in self defense? Then train 80% of the time in the gi learning how to use it to your advantage – especially those of us that live in a colder climate (a carhart jacket is great for choking out an opponent). The other 20% of the time train without the gi and learn how to scramble and deal with the scrambler! 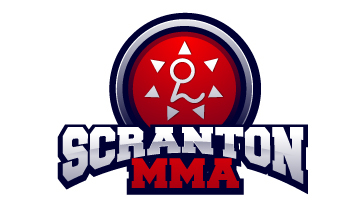 Are you mostly interested in mma? Then train no-gi 80% of the time to develop your explosion and scrambling and variant grips. the other 20% train in the gi – you will notice a distinct increase in your technical level. Which ever side of The Great Debate you come down on take the time to train outside your comfort zone and become a well rounded grappler.